Rockwell Partners SA, an HYIP “program” that has a 218-page thread at the MoneyMakerGroup Ponzi forum, now is the subject of a warning from the Ontario Securities Commission. 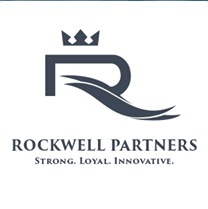 Rockwell Partners purportedly was based in Costa Rica. The first post in a MoneyMakerGroup thread in which Rockwell Partners was pushed in March 2014 claims a daily payout of between 1 percent and 3.5 percent. By June 2014, reports surfaced that the “program” was on the rocks. The website no longer resolves to a server. Current schemes being promoted at MoneyMakerGroup include Achieve Community, which claims $50 turns into $400. Any number of Achieve Community promoters now are pushing other Ponzi-board schemes.